Noriyoshi Horiuchi started dealing in antiquities in the 1980s under the guidance of Elie Borowski (Melikian 1997). He opened a gallery in London, but by the 1990s he had moved his business to Tokyo. Between 1991 and 1997, he acted as agent for the Miho Museum, which opened in 1997. He is thought to have obtained many objects from the Italian antiquities dealer Gianfranco Becchina (Isman 2011). 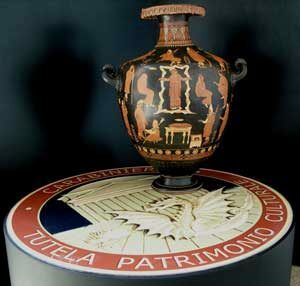 In December 2008, Italian Carabinieri acting in concert with Swiss police seized approximately 20,000 artefacts from storage facilities belonging to Horiuchi in Geneva Freeport. From this total, 337 artefacts of Italian origin were subsequently returned to Italy. (Isman 2011; Knowles 2010). Isman, Fabio (2011), ‘The masterpiece sold for $1000 and a suckling pig’, Art Newspaper, (225), 50-52. Knowles, Bija (2010), ‘Looted antiquities worth millions recovered from black market by Italian police’, Independent, 19 July. 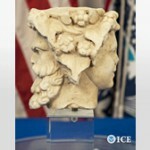 http://www.independent.co.uk/life-style/history/looted-antiquities-worth-millions-recovered-from-black-market-by-italian-police-2030071.html, accessed 7 August 2012. Melikian, Souren (1997), ‘A splendid art collection goes on display in Japan’, New York Times, 6 November.